Listen up, Mac users! 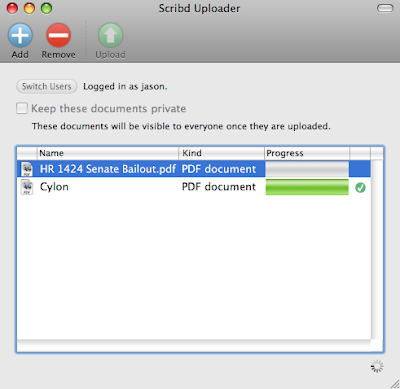 Version 2.0 of the Scribd Desktop Uploader is ready for download. Version 2.0 fixes a few the bugs from the previous version, and offers a new, simplified interface. Download it today from the Tools page!